Summary: A group of students from the Kraków Teachers' Seminary of the Bais Yaakov network, in what appears to be a sukkah. Document Location: Ghetto Fighters House Archive, Item #29881. 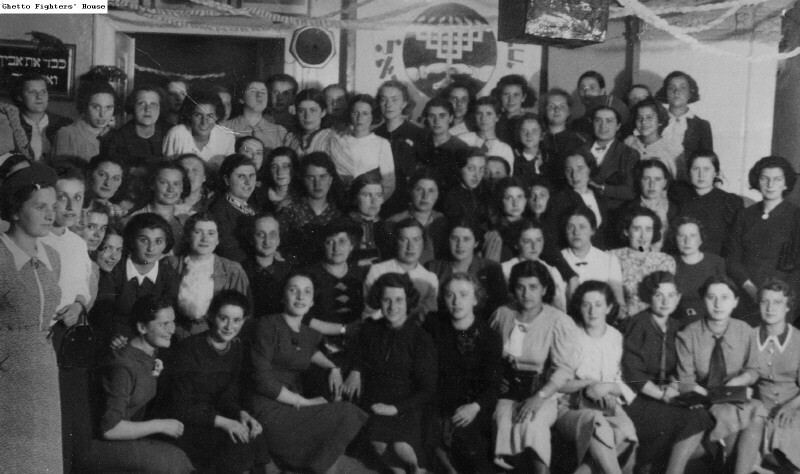 In the second row, left, in a bright white collar, is Gutta Sternbuch, who documented her time at the seminary in the mid-1930s in her memoir.